The High Country has a wine trail! If you haven’t visited our local wineries, you’re in for a real treat. Great wine and beautiful views combine for a unique experience at each location. Grandfather Mountain Winery is in Foscoe, just to the northwest of Blowing Rock. The vineyards and tasting room are on the slopes of Grandfather Mountain, right on the Watauga River, where you can take a seat and enjoy the sights and sounds of the rushing water. The tasting room has a lovely rustic charm, with friendly folks ready to tell you about the unique wines produced at the winery. Enjoy wines like “Terraced Gold” and “Big Boulder Red” on the spacious patio or by the water’s edge. 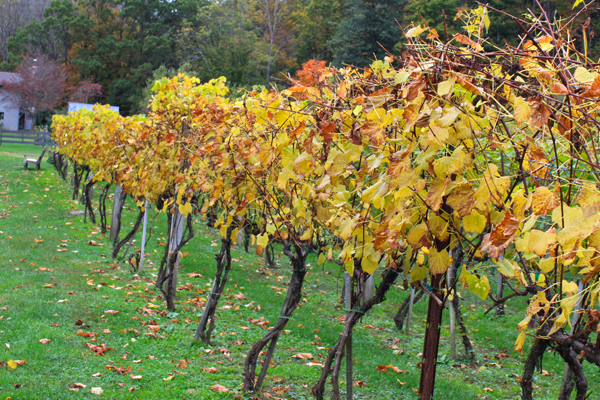 The Banner Elk Winery in Banner Elk features some of the highest vineyards in the Eastern United States. 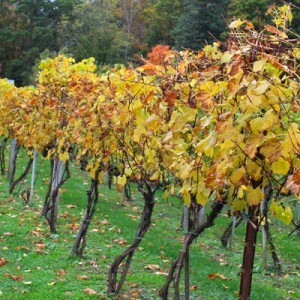 The vineyards are located on Beech Mountain, which dominates the lovely view from the winery and Inn. Banner Elk Winery is the first commercial winery built in the area, debuting in 2006. The Tuscan-inspired villa on the grounds is an eye-catching centerpiece on the grounds, and offers rooms and overnight packages. Linville Falls Winery is the newest of the three. Family owned and operated, the winery is an elegant attraction that’s easy to find right off Highway 221 in Linville. Riesling and Cabernet Sauvignon are the staple grapes, and blueberries and raspberries are also produced on the 40 acre farm. While you’re taking a trip to the winery, you should stop over at the Linville Falls Wilderness Area to enjoy the falls and hikes. See more travel ideas on our Main Itineraries Page!